I have a confession. I am addicted to signing up to most wineries mailing lists and other wine sales email lists I can find. It’s a problem. I know I do it. I don’t really need to, but yet I can’t stop myself. I do enjoy perusing the many wines on my lunch hour and working out why certain wines are priced so low (sometimes it doesn’t take much to work out) OR my real favourite – working out mystery wines. A graphic designer I am not, but it gets the meaning across. I am a subscriber to the James Halliday Magazine and online website so I still feel quite sp0ilt to have at my fingertips years of strong wine reviews and recommended drinking windows. Sometimes the latter is very important as websites often push older wines as being so special and a bargain but from looking on here I can see they are outside of the suggested drinking window so the experience I would get, wouldn’t be optimum. Mystery wines are often sold as such so they don’t devalue the public price (and reputation) of the wine. It’s too easy these days for people to search for the price of wine but if a vineyard chooses to get rid of their wine they are able to do it this way without risking too much. 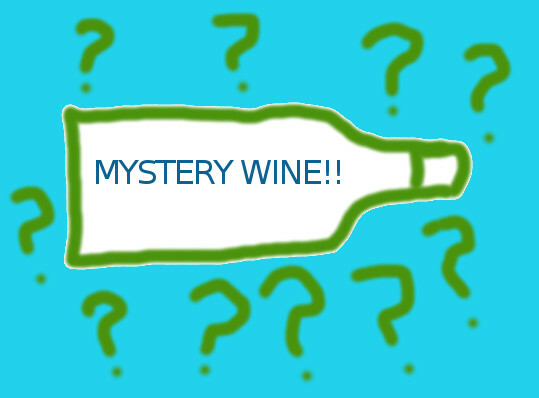 However, more savvy internet users like myself are well equipped with the tools to work out what 90% of the mystery wines are, it’s really just connecting the dots. State, Region, Year, Varietal, Rating, RRP and normally one or two odd comments that may give away other titbits. It’s quite simple. There is something I enjoy about discovering a mystery wine, it’s sort of like a crossword for me, except I can actually work it out.